We will talk about the reasons why you should not be using Shopify payments and what alternative processors you can use in place of Shopify payments. Note: This article only to the people from countries eligible for Shopify Payments. 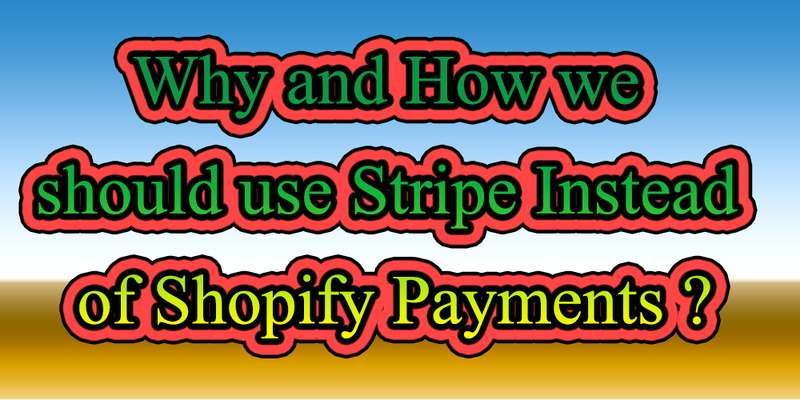 Why you shouldn’t be using Shopify payments and how to set up other processors? Most of the USA and other top countries based Dropshipppers use the processor namely Shopify payments powered by stripe and if you live in any other part of world you might be using Paypal or stripe which are normal options. The other major con of the Shopify payments is that Shopify holds funds without giving any warning whenever you get any chargebacks. For instance, if you have to transfer ten thousand dollars in your bank account in a day, Shopify may hold your entire funds. You have to go through a long process to get your funds back. We highly suggest you to use Stripe. PayPal is also a good option but the conversion rate in PayPal remains the same. If PayPal is your only option then you can definitely go for it however, if you have other options you must try all of them. Our suggestion is to use stripe.